Perhaps a majority of people better recognize it by its former name Murcia Corvera Airport. Located between Murcia and Cartagena along the A-30, the Corvera Airport was constructed with the aim of diverting traffic away from the capacity challenged Murcia – San Javier Airport. The big problem is that so many people, both tourists, and residents have been looking forward to it being in operation yet the airport is yet to be opened. What could be going on with the construction? Considering that construction of the facility started off in 2008, it is now 9 years later and still no sign of activity within the facility or even any hope as to the airport being open for business soon. As it stands now, the general wonder is whether the new facility shall ever open or if it will lie in waste as one of the projects in Spain that never were fully seen through. To fully understand the speculations surrounding Corvera Airport, it would be prudent first to understand what exactly necessitated the construction of the Corvera Airport. Previously, the only airport serving the cities of Murcia and Cartagena was Murcia-San Javier Airport. Moonlighting as a military base though, the airport was of limited capacity and facilities were often overstretched particularly during the months around summer when it gets the busiest. The small size of the airport could not adequately handle the ever-increasing passenger traffic, and thus another facility had to be constructed. Although it might be worth noting that a major refurbishment recently undertaken at the airport may have alleviated some of the issues experienced. Again, this makes us wonder if there is hope for the Corvera Airport being open soon. Why would AENA be spending funds on refurbishing the old airport instead of directing the same funds towards completion of the new one? Besides that though, it was anticipated that the new airport would provide a gateway to the Paramount Theme Park – another conceptual project in the region. With the opening of the theme park, the number of tourists visiting the area would increase, and as such there was the need to have an airport that would comfortably handle these increased volumes. All these factors thus gave birth to the idea of having the state of the art facility, Corvera Airport. Construction works took off in July 2008 with the idea being to have a big international airport bringing life to the sleepy town to Murcia. It was anticipated that the new airport would be open for operation by the end of 2013, but this was not the case. Four years later, travelers to and residents of Spain are still anticipating the opening of this state of the art facility. There is yet to be a concrete report concerning the status of the airport and the longer time whiles away, the more apparent it becomes that this airport may never open for business. What exactly halted the big dream behind Corvera Airport? Was it low funds? Politics? Poor management? Did the logistics just not add up? As it shall be seen in the consecutive sections, financial limitations may have played a major role in the delayed opening of the facility. It may not be the only reason though. On the larger picture, the delay may have arisen from a combination of factors cited henceforth as probable problems. The big rumour is that the airport is located in a no-fly zone thus eliminating the operation of civilian planes. However, how is it that a government-decreed project would be discovered’ as being in a no-fly zone? What regulations were used before deciding the location of the airport? At what point was it decided that was a no-fly zone and what measures were taken now that construction was already underway? Needless to say, the explanation that the airport is in a no-fly zone seems pretty incredulous considering that some ample amount of planning and consultation went in before construction of the airport commenced. This does not, however, undermine the fact that it could be an aspect causing the delayed opening of the facility. The other aspect of it could be that the project was affected by the financial downturn which hit Spain in 2008. Prior to the recession, Spain was flourishing in terms of tourism. There were a ton of construction projects underway spearheaded by both private and public bodies and banks were eagerly funding them, all in a bid to have a slice of the foreign investment cake. Most of these investments were privately financed as it was anticipated that the number of euro-tourists would just keep increasing. Of course, all this was to be cut short. When the recession hit, the economy of the country was severely damaged with a large number of developments coming to a standstill. During this period, Spain’s economy took a hard nosedive affecting both government and private bodies alike. Banks were left ridden with huge toxic debts, loans went unpaid and construction companies basically crumbled. Perhaps one of the bodies that took a hit was Aeromur, the company originally in charge of building the airport. If this claim has traction, then it could explain why later on in May 2015, the management contract of the airport was withdrawn from Aeromur and further re-contracted to other companies. Currently, it is under the private management of a consortium of seven companies. Perhaps the delayed opening of the new airport results from the logistics involved. Ideally for the new airport to be open for business, the old airport Murcia-San Javier would have to be closed, and all passenger flights be transferred to the new Corvera Airport. Of course, this move is bound to rub the wrong way with a number of proprietors and local airport workers alike. In addition, the move would mean that compensation would have to be paid to the current operators of the Murcia-San Javier Airport and seeing that the airport is rather profitable, the compensation would be no small sum. Considering the fact that Spain is just now recovering from a financial crisis, then the aspect of financial constraints again comes into play. The need for compensation would further put the financial strain on the project developers thus again explaining why the new airport is yet to be open for business. Regardless of what might have gone wrong with the construction of the much-anticipated airport, the fact still remains that the chosen location was rather fitting. The new airport is not only well accessible via the A-30, but its location also allows it to relate to the neighbouring airports. Murcia is a city located in the Costa Calida region of Southern Spain. It lies almost halfway between Alicante Airport up north and Murcia-San Javier Airport down south. 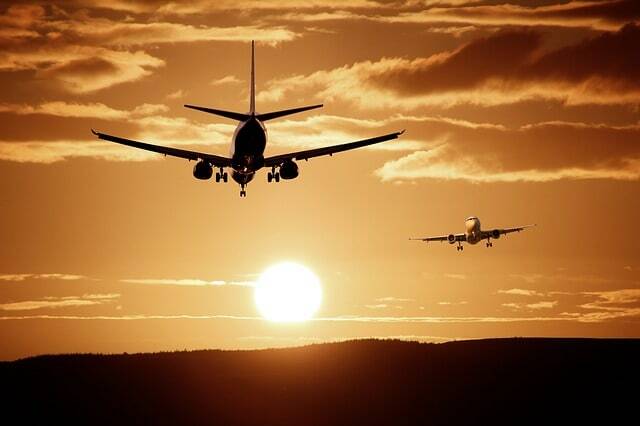 Using Murcia Airport car hire, you can easily get to Alicante Airport in about half an hour. This means that once opened, Corvera Airport carhire could get to any of the nearby towns in less than an hour. Of course, besides the major cities of Murcia and Cartagena, the airport also borders the smaller villages of Corvera, Valladolid and Los Martínez Del Puerto. The convenient location of the new airport would further promote tourism not just to the Paramount Theme Park as previously anticipated, but also to the nearby towns and attractions such as the Casa de Cervantes, Iglesia de San Pablo and Playa de Barayo among others. Upon completion, it is anticipated that the new airport shall have a huge passenger terminal of 28,500m2 with a single runway of 3,000m x 45m. It shall be able to handle a capacity of upto 3 million passengers with flight movements of up to 23,000. This is a large enough number to serve not only Murcia Municipality but the bigger Spain region as a whole. What this means is that at least at the planning stage, the developers managed to achieve their goal of constructing a large state of the art international airport. The terminal is set to have 9 boarding gates and 25 check-in desks to handle a large number of travellers without much delay time. On top of that, the baggage claim belts would be 4 in total. For the arriving passengers, there would be one rapid-exit taxiway (RET) supported by 4 holding bays. For this new facility, state of the art technology has been fully employed with the rapid-exit taxiway being equipped with both precision approach instruments and non-precision instruments. With all these investments having been made in the form of finances and other resources, the delayed opening of the airport is just further hurting the economy of Murcia municipality. Currently, as it stands, the airport has just incurred massive debts with no revenue coming in to pay them off. Thus the economic state of Spain just ends up being a vicious cycle. As much as Corvera Airport is anticipated to open soon (circa 2018), there are still speculations as to whether it really will open. Bearing in mind that this is not the only unfinished airport in Spain, alongside it is one at Castillon near Valencia which has stalled citing financial problems. On top of that, there is another unfinished airport at Ciudad Real to the south of Madrid, and this one has remained vacant for so long that it has been featured in a 2013 episode of Top Gear. Well, the latter is not entirely unfinished; it was in service for about 3 years then was closed rather abruptly. Again, all this leads us back to the vicious cycle of economic woe in the larger Spain region. How is the economy expected to improve if there’s no revenue coming in with ghost projects looming all over? Remember also that the Paramount Theme Park project has also stalled probably following financial hindrances. So shall the Corvera Airport be finished and open for business in the near future or is Spain trying to gain recognition for being the one country in the world having the most number of unfinished airports? If at all it really shall be opened, then when? The construction of the new airport is pretty much near completion. After all, in September 2012 the then president or Murcia region announced that the infrastructure of the new airport was already finished. Despite this though, the facility stands empty and void of any activity both within and around. The gate has been fenced off just to make it extra clear that the airport is not yet open for business. There is so much inactivity that any visitor would be surprised to learn that there is a construction of an airport underway at that particular location. Towards the end of December 2015, the minister of Employment, Economy and Tourism was quoted as claiming that the airport would open in 2017. We are already midway into the year, and so that claim is yet to be confirmed, but we are not oblivious to the fact that this is not the first time such claims have been made. Another thing making people sceptical concerning the opening of Corvera Airport is the fact that AENA appears to be investing more into the Murcia-San Javier Airport. New routes are opening up to major cities and airports such as London Heathrow and London Southend, for instance. Sometime around April 2017, AENA officially confirmed that they would bid to have the management of Corvera Airport. However, this comes with a catch as they do not commit to closing operations at Murcia San Javier Airport. Being the major airport operator in Spain, AENA’s involvement provides some glimmer of hope concerning the opening of the new airport. Another factor which is signifying that the opening date may be drawing closer is the fact that the new president of Murcia showcased the airport at the London travel fair in December 2016. This is after he had a sit down with Volotea Airline. For now what else is there to do other than remaining expectant? If Corvera Airport does eventually open then well and good, it has been a long time coming after all. If it does not, then maybe Jeremy Clarkson and company will have a new runway on which to test the acceleration of their super fast cars.